NGC 1333 is located in the constellation Perseus and is a beautiful example of a reflection nebula embeded with an open star cluster. NGC 1333 is first discovered by Eduard Schonfeld in 1855 and it is a bright reflection nebula in the western portion of the Perseus molecular cloud. The star BD +30 549 illuminates NGC 1333 and was found to be a B8 spectral type (van den Bergh 1966; Racine 1968). 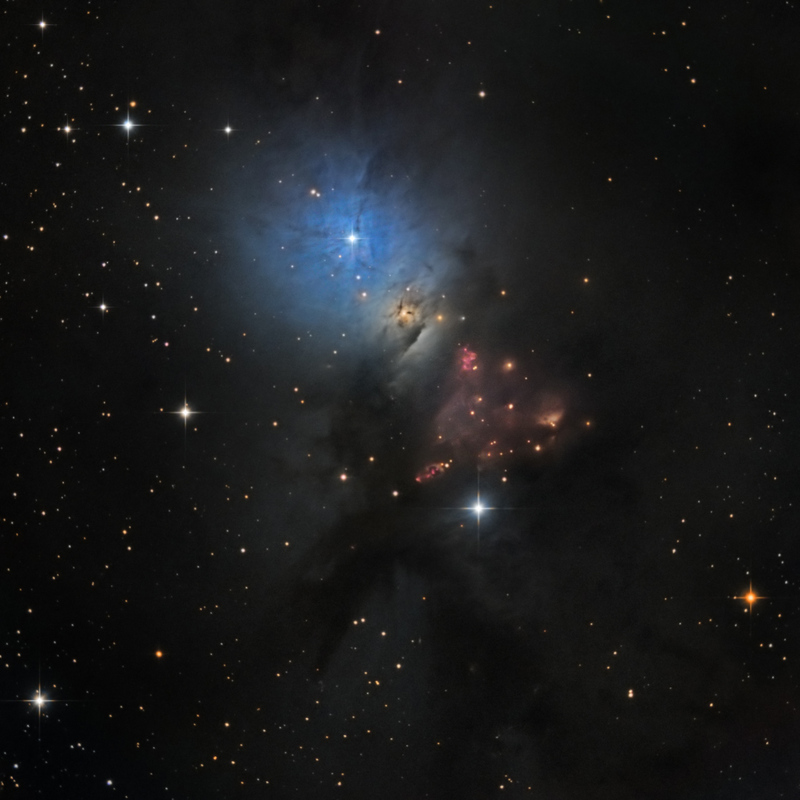 Today, the term (moniker) NGC 1333 is used to denote the molecular cloud and young stellar cluster associated with the optical reflection nebula. NGC 1333 is the currently most active region of star formation in the Perseus molecular cloud. The presence of emission-line stars and Herbig-Haro objects first established NGC 1333 as an active region of star formation. A number of very red structures indicate regions where new stars are forming. These regions of gas are catalogued as Herbig-Haro (HH) objects. These objects take their names from George Herbig and Guillermo Haro who first described them over 50 years ago. Herbig-Haro objects are typically seen along the rotational axis of the star, and are a relatively brief cosmic light show, they only last a few thousand years. In the image above are shown lots of HH objects, more than 25. Today, NGC 1333 is one of the best studied extremely young clusters of low to intermediate mass stars. This region is rich in sub-mm cores, embedded YSOs, radio continuum sources, masers, IRAS sources, SiO molecular jets, H2 and HH shocks, molecular outflows, and the lobes of extinct outflows. In fact, NGC 1333 contains hundreds of stars less than a million years old, most still hidden from optical telescopes by the pervasive stardust. 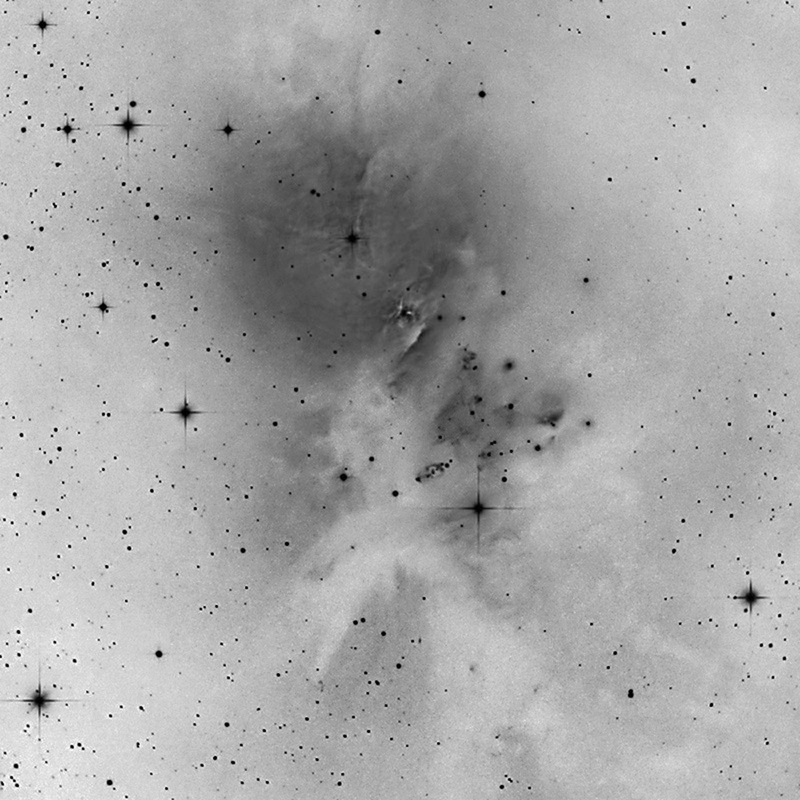 There are several measurements of the distance to NGC 1333. Cernis (1990) suggested a distance of 220 pc to NGC 1333 based on interstellar extinction. Herbig & Jones (1983) adopted a distance of 350 pc to NGC 1333 based on several previous measurements. Recently, Hirota et al. (2007) have determined a distance to NGC 1333 of 235 ± 18 pc.